Knitting, in fact all the textile crafts, are ancient arts, they go back so far in our history that I doubt you could fix the date – and unlike pottery and metal work, wool, linen and flax, the first fibres to be used to make cloth – ie clothes – are bio-degradable, so there are not that many artefacts to be found in archaeological digs. Oddly enough, having just done a search for ‘the history of knitting’, the trawl is very sparse – this is from Wikipedia – the never failing first place to go! 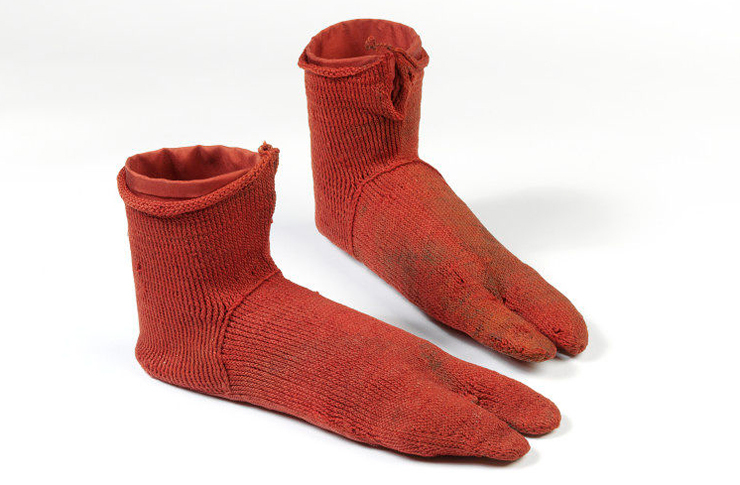 “The oldest artifact with a knitted appearance is a type of sock. It is believed that socks and stockings were the first pieces produced using techniques similar to knitting. These socks were worked in Nålebinding, a technique of making fabric by creating multiple knots or loops with a single needle and thread. 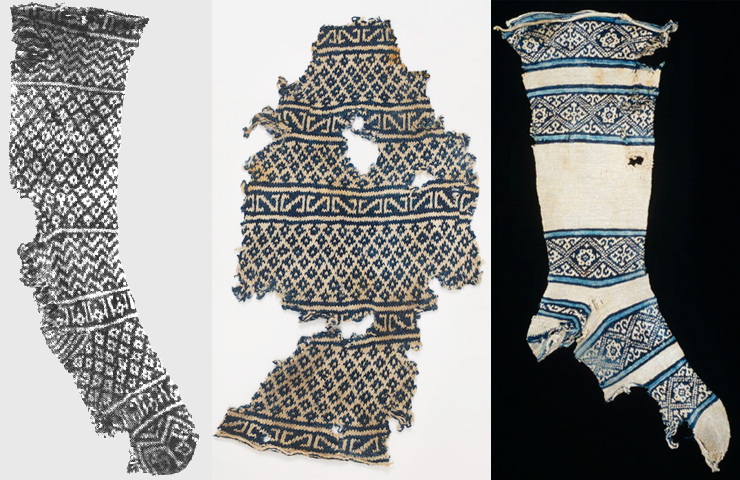 Many of these existing clothing items employed nålebinding techniques; some of them look very similar to true knitting, for example, 3rd-5th century CE Romano-Egyptian toe-socks. 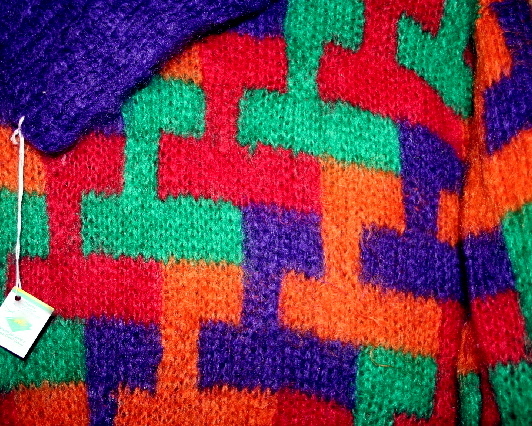 Several pieces, done in now obscure techniques, have been mistaken for knitting or crocheting. 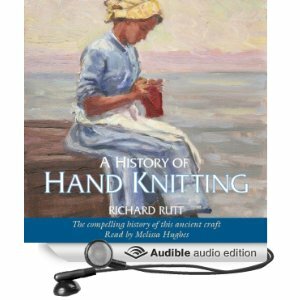 There is a tantalising listing for an audio book ‘A History of Hand Knitting’ on Amazon, that says “this product is not available in your region”, and several reviews that refer to a well illustrated hardback book published in 2003, which seems to be utterly unobtainable. I listened to the audio sample given, and heard enough to know that the author Richard Rutt, has delved into the subject with true academic rigour, and if it was available, I’d buy it like a shot! I can’t image why it is out of print! Are you listening out there?! 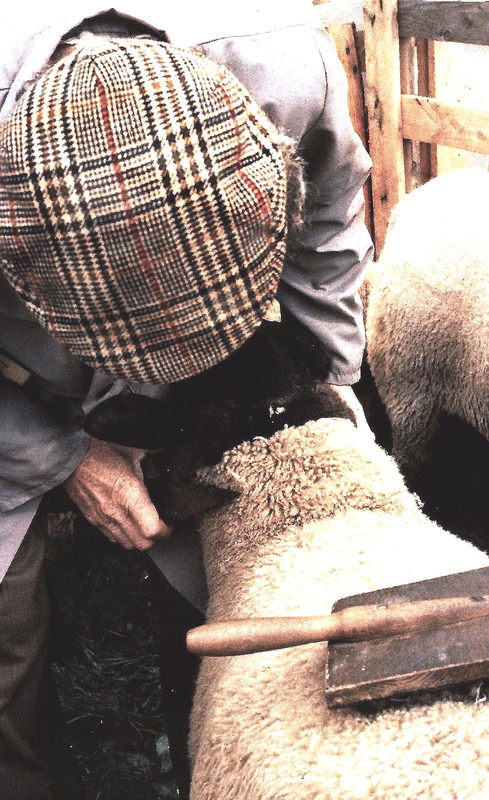 I did find some interesting information in a post published in February 2014, on Sheep & Stitch,. The unnamed author has found some great photos in various museum collections, which I have shamelessly copied here – smile. 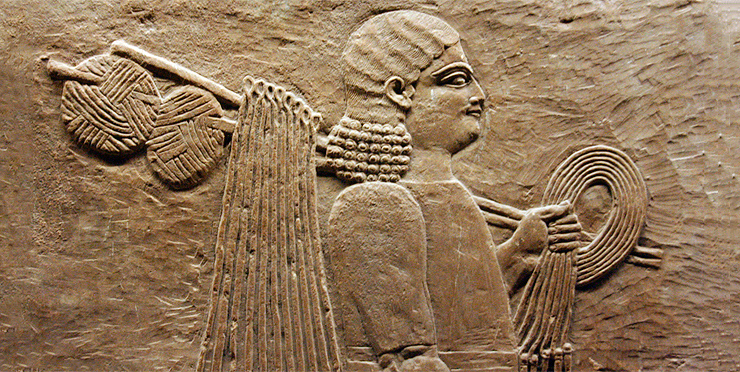 This is the one of the the sample of Egyptian knitting, mentioned above. It is very reminiscent of FairIsle knitting – see my i/sheet on this – and seems amazingly advanced! There is also what appears to be a stone carving, that was taken by a tourist in London, probably in one of the museums, but it doesn’t say which one. I highly recommend you have a look at both parts 1 & 2 of the Sheep & Stitch posts, if you are at all interested in knitting or history! Part 2 has some lovely medieval images of knitting, and then onwards, to the present day. 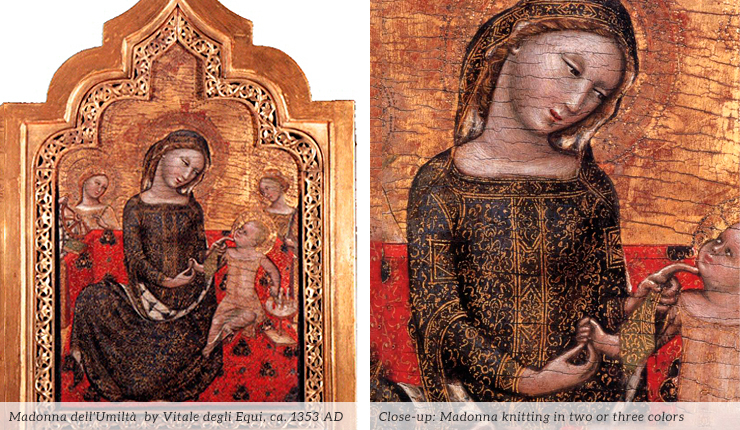 14th century painting of Madonna knitting! 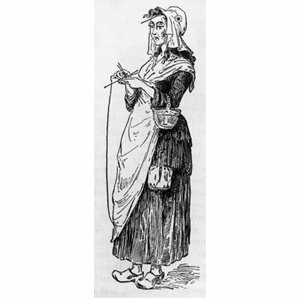 It’s difficult not to take the feminist stance about the lack of documentation on the History of Knitting – and I normally avoid any involvement in feminist politics! It feels like ” knitting was always considered to be ‘woman’s work’ it wasn’t taken very seriously”. 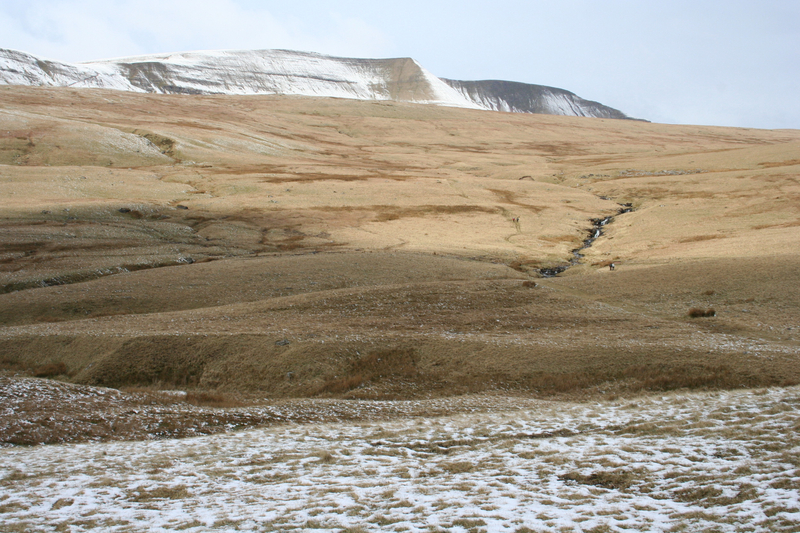 It has always been a very practical craft, and before machine knitting came in, was the only way to provide the family with warm clothing – something that was a necessity in cold climates – so why wasn’t it valued? And before you men shout out loud at me, yes, many men knit and have done so far back into history – there is a proud tradition of seamen knitting to pass the time on long voyages! However, the majority of modern knitters are women, so why haven’t we valued it enough to give it a place in history? With the introduction of mass production machine knitting, hand knitting seemed redundant, and gradually fell out of fashion after the 2nd World War. This also led to a huge fall in the price of wool, and a lack of choice for those who continued to knit. However, there has been a heartening resurgence in the popularity of creative hand knitting in the last few years, and its great to see so many people on sites like Ravelry! There is now a serious market for all kinds of yarn, and thankfully, hand spun yarn is particularly valued, and it is now worthwhile for home spinners to sell their yarn and even make a living out of spinning. I was taught to knit by my grandmother, when I was a child, and have knitted on and off ever since. At one time, when mohair jumpers were all the rage, I actually gathered a few knitters around me and paid them to knit some of my own designs, which sold quite well – until fashion moved on to something else – smile. This is one of my favourite designs, which I knitted up for myself. I still have it in the wardrobe, but sadly, it no longer fits! Its really quite easy to adapt a standard pattern to add your own design, so all you knitters out there – be adventurous, and try making something that is truly individual! During January, BBC Radio 4, and Woman’s Hour, unusually, had a theme running about knitting, which I saved and thought I’d put it up on the blog for anyone who would be interested. Among the old programmes they added to their ‘Archive Page’, was this one, about Fair Isle. I’ve never tried copying one of these before, so if it doesn’t work, the page link is below this box. I have tested it, and if you click “listen in pop up player” you should get a new page and the 30 minute programme, with picture, direct from the BBC. The original programme was first broadcast on SAT 31ST JULY 2010. I’m not sure whether this is a permanent ‘archive’ or whether, if you try and listen to it in a few weeks time, it will have been withdrawn from the iplayer – but its here now, if you want to listen to it – along with a link to the full archive page, below. This post is written as a checklist for the latest newz from julz update, which goes out to all the customers on my mailing list – its easier to put the pictures and links on this blog, where they can be seen clearly, than try and put them all into an email. Anyone who reads this can join the mailing list – please go to the shop talk page, where you will find a form to fill in. 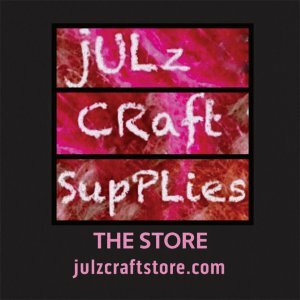 newz from julz updates are sent out when there is new stock or other useful information, and are not available unless you are on the mailing list, which has nothing to do with following this blog! If you want to know more about any of the yarns on this page, clicking on any warping yarn picture will take you to the ‘slideshow’ of these yarns and if you then click on the underlined caption, it should take you to the current listing. Clicking on the pictures of the novelty yarns will take you to the listings directly. Of course anyone is welcome to buy anything they see on any of the sites I sell on – links to my etsy shop, my folksy shop, and my two sites on ebay, are underneath my photo on the right hand side. If you are not registered on any of them, you are welcome to buy direct. Warping Yarns are particularly strong and can take the strain of being the “vertical yarns” on the loom, as they are kept under tension whilst the cloth is woven. They can also be used for the weft – ie: you can weave with them – and for crochet and macrame. You can also knit with them. Many knitters are so used to small balls of knitting yarn, that they don’t realise that you can knit straight from the cone – just put the cone in a bag or basket to keep it clean and allow the thread to be easily drawn. When you click on the pictures below, some of them will take you to julzweaving on ebay, and others will take you to julz craft supplies on etsy. That does not mean that they cannot be found on the other sites, but as ebay listings don’t last as long as the etsy ones, I have used the etsy site for listings on ebay that are near to their end date. NB: the links are current at the date of posting, but may not work in a few weeks time – that does not mean that I don’t still stock them – see below! Anyone with an eye for unusual ideas and novelty yarns to experiment with will enjoy these ‘Imagine’ and ‘Tu-Tu’ yarns – but they may take some getting used to! Samples are available on request, and there is a particular sample pack of 4 colourways of Tu-Tu which is also listed. If you would like to request a variation of colours, please ‘buy’ the pack and send me a separate request for the specific colours you would like in the pack. 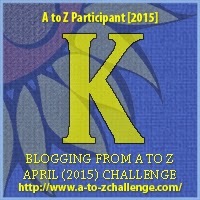 (There are numbers on the banding that you can use for reference. You can actually knit with these, and create ruffles within your pattern, and there are links to free patterns on the listings, on both etsy and ebay – all of these are currently listed on both sites, clicking on these pictures will take you to one or the other. You can also use them as eyecatchers by weaving bits of them into your work, adding them to needlework and sewing projects and incorporating them in any any collage or textile art project. Similarly unusual, and useful for art work, are the imagine yarns, which have been created to be used to make things like scarves without knitting them! They comes as ‘tubes of webbing’, and there is a link on the listing to a video that shows how to make a scarf in a few minutes. Buy a hank and see what else you can use these for! These listings have expiry dates, and the links may not work in a few weeks time, but I will have stock of most of the yarns shown on this page on a regular basis, so if you cannot find the listings, please use the form on the contact me page and I will send you the link.